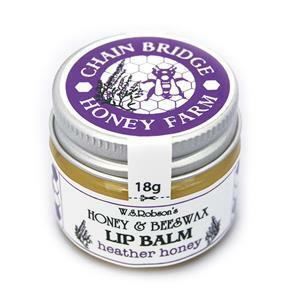 We don’t use many ingredients in our Chain Bridge Honey skincare (long lists of indecipherable, toxic chemicals are not really our thing), but the ones we do use are used with good reason. You may have noticed a few recurring oils that we like to include in our lip balms, hand creams and ointments and one of those is almond oil. Almond oil really is wonderful stuff that has been used for thousands of years in many cultures for it’s fantastic health and beauty benefits, so it would be remiss to not use it in our products! Rich in vitamin E, essential fatty acids, proteins and much more this is one thing that should be a staple in everyone’s skincare routine, whatever your age or skin type. Almond oil is incredibly gentle and mild, so much so that it is even suitable to use on a baby’s skin – sweet almond oil as a sole product is in fact one of the most popular choices for baby massage oil, which just tells you how kind the the skin it must be. We know that you don’t have to be a baby to have sensitive skin though, this can be an issue at any time in life, so we always like to make sure that our products are mild enough (yet still effective) for all skin types. 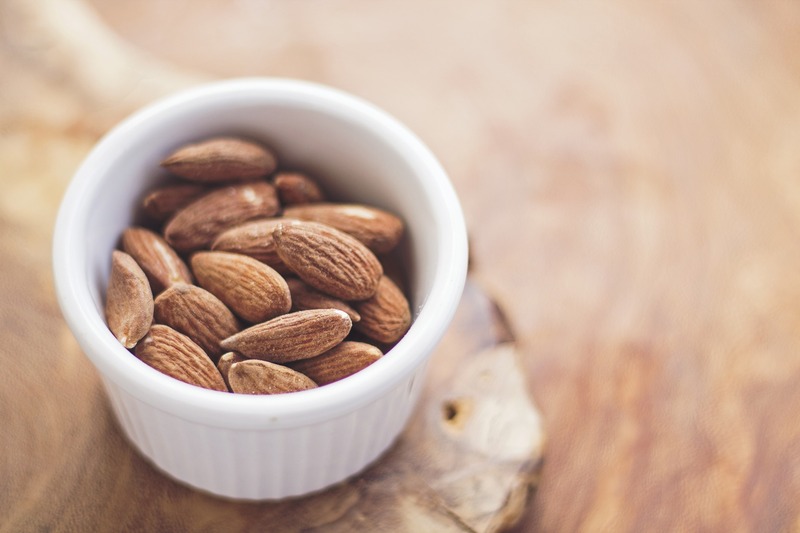 It’s not unusual to see adverts for many skincare products shouting about the benefits of vitamin E, but where in synthetic based products this is usually an extra added ingredient, vitamin is comes naturally in almond oil. Vitamin E is definitely something worthwhile having in your skincare products as it is a potent antioxidant which works to block free radicals and slow the ageing process of skin. It also works wonders on dry skin, in it’s natural form, such as in almond oil. Almond oil is fantastic for treating a number of dry, itchy skin conditions from eczema to skin rashes and so including it in our healing, soothing ointments was a must! Naturally high in zinc, almond oil helps to reduce inflammation and relieve sore or burning sensations that can come hand in hand with many skin conditions. Collagen is key to achieving smooth, supple, wrinkle free skin and it just so happens that the proteins found in almond oil are full of this! It also provides many essential amino acids which are required in the production of collagen within the body. The almond oil used in our products is very easily absorbable and so all of this goodness will be going right in. We include almond oil in our peppermint foot balm and foot cream not only for all the points above, but also for it’s ability to relieve muscular aches and pains to great effect. As previously mentioned, almond oil contains high levels of protein, which are easily and readily absorbed by aching muscles to aid in their rejuvenation and repair. There is also evidence to suggest that almond oil can relieve muscle pain by drawing out excess toxins, which is particularly effective through the feet. You may have noticed that among our list of natural ingredients, avocado oil is a regular feature and that’s no mistake! Avocado oil is wonderful stuff which has remarkable skin, hair and health benefits, which is why we love using it in many of our skincare products. Avocado fruit (yes, fruit!) is one of the few natural food products readily available that contains an incredible amount of healthy fat, called oleic acid. Often when people hear the word ‘fat’ they’re instantly put off, thinking that must mean it’s bad for your health, but not so when it’s the good kind. Our bodies require a certain amount of healthy fat to function correctly and your hair and skin really show off those benefits. Avocado oil is pressed from the pulp of avocados and is almost a 70% oleic acid! You absolutely can eat avocado oil if you want to (we love using food friendly ingredients in our products – what goes onto your skin should be fine to go into your skin too; it is very absorbent after all! ), but by putting it directly onto your skin you can reap the rewards in a more targeted way. The oleic acid speeds up skin regeneration and wound healing, it reduces inflammation and it even helps to fight infections. Vitamin E is a popular one for skincare products and avocado oil has incredibly high amounts of it – in fact, it’s actually one of the top five foods highest in vitamin E! So why is that a good thing for your skin? The vitamin E in avocado oil is well known for it’s skin benefits, by helping to defend against oxidative damage to skin cells whilst boosting the overall health of your skin. Another important point about the vitamin E in avocado oil is that it is very easily absorbed by the skin, meaning that all those wonderful nutrients get right through to where it needs to be! 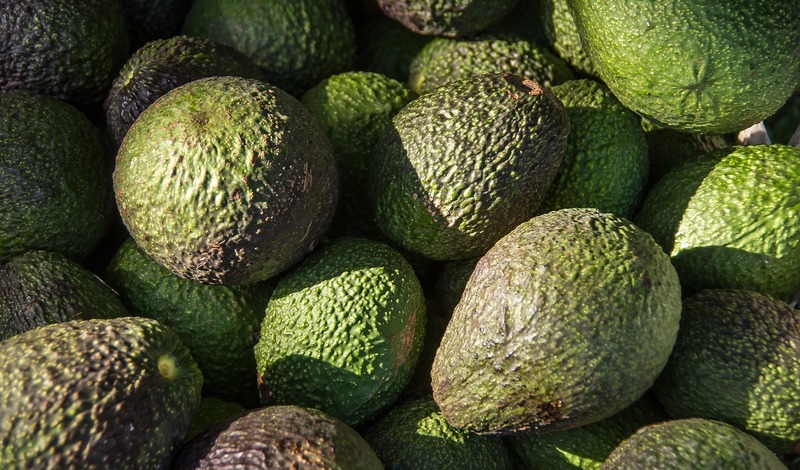 As mentioned above, the oleic acid in avocado oil has a brilliantly high concentration of anti-inflammatories, but what does this mean for your skin? Avocado oil is a soothing and very thick substance that will skin on the surface of the skin for a short time rather than instantly soaking in. This is a great thing when it comes to many uncomfortable skin conditions, as it allow the anti-inflammatory properties in the oleic acid to work their magic there and then. 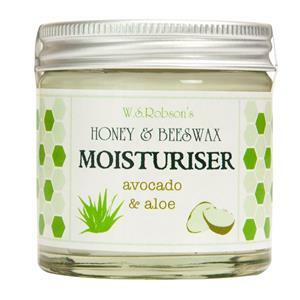 Avocado oil is an effective and natural treatment for insect bites and stings, sunburn, eczema, psoriasis and many more skin ailments, as it will almost instantly sooth itching and speed up healing, giving your skin time to recover. Even when applied topically, avocado oil can help to detoxify your whole body. As it is so easily and readily absorbed by the skin, the avocado oil in our skincare products can work wonders inside and out. Avocado oil comes from a lush, green fruit that is jam packed with chlorophyll which is a natural source of magnesium, as there is a magnesium ion at the core of each chlorophyll molecule. When this comes into contact the the natural acid produced by the human body, this magnesium ion is released, meaning you get to use up that lovely magnesium, but the chlorophyll is left with an empty space for a new metal. This is great news for us, as that space can then be filled with toxic metals that are accumulated within the human body, making them harmless before expelling them out when you go to the loo! Science and beauty at it’s best! 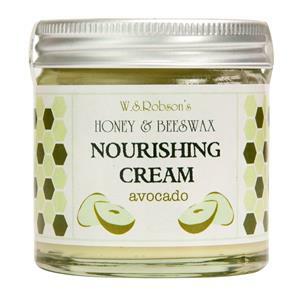 Want to try our skincare products containing avocado oil? Find them here. Perusing our products? Then you’ll probably have noticed that we don’t just use lovely stuff from bees, we also harness the benefits of natural essential oil to make sure that you’re getting top notch care and results. Essential oils are highly concentrated oils created by extracting directly from the flower, fruit, bark, leaf, root or even seed of a plant or tree. They are typically made using a slow process of steaming distillation, which separates the water and oil of a plant, leaving you with the most powerful healing properties and a strong aroma in just a single drop. You might be familiar with essential oil in that you know it smells amazing without the use of synthetic perfume, but did you know that they also have loads of beauty boosting qualities and the ability to help with all sorts of skin conditions? 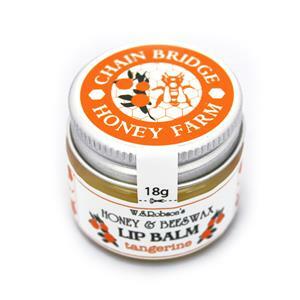 Here at Chain Bridge Honey, we always want you to get the most out of our products and one way to do that is to make sure you’re treating yourself and your loved ones to the right skincare. 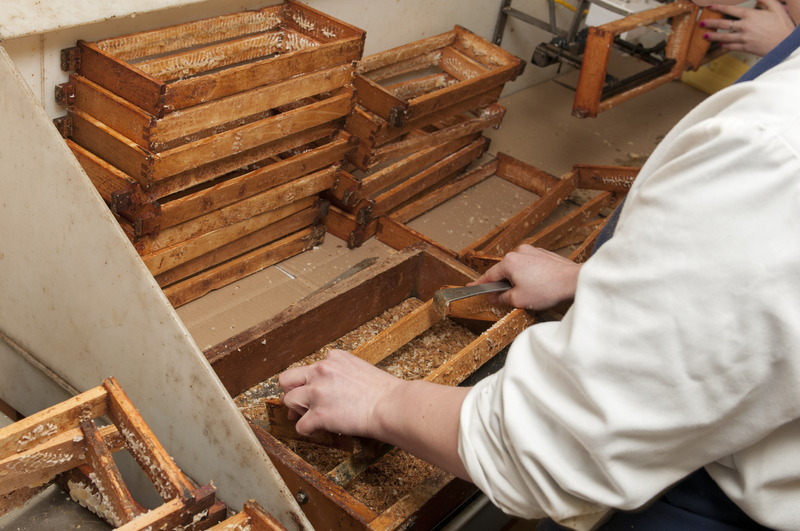 If you’ve read our recent blog ‘Bee Propolis – The Health & Beauty Benefits’, you’ll know all about why Propolis is such a wonderful ingredient. Our honey has some similar qualities too, in that it’s anti-bacterial, full of anti-oxidants, moisturising and soothing, but what about the essential oil we use? You’ll find Geranium essential oil in one of our honey and beeswax hand creams and for starters, aside from it’s beneficial properties, you’re going to adore the fresh, green botanical scent! Our Geranium hand cream is a fantastic choice for anyone with sore, over-worked hands or older hands that need a bit of TLC, due to it’s ability to minimise inflammation, speed up healing, fight infections, act as a natural painkiller and even reduce wrinkles. For those of you that love gardening, you might find that this becomes a bit of a must-have, particularly in summer months, as Geranium essential oil also acts as a natural insect repellent and bug bite healer. Most commonly known for it’s inclusion in Earl Grey tea, Bergamot is a beautiful, stimulating, light citrus scent with a multitude of medicinal and beauty uses. 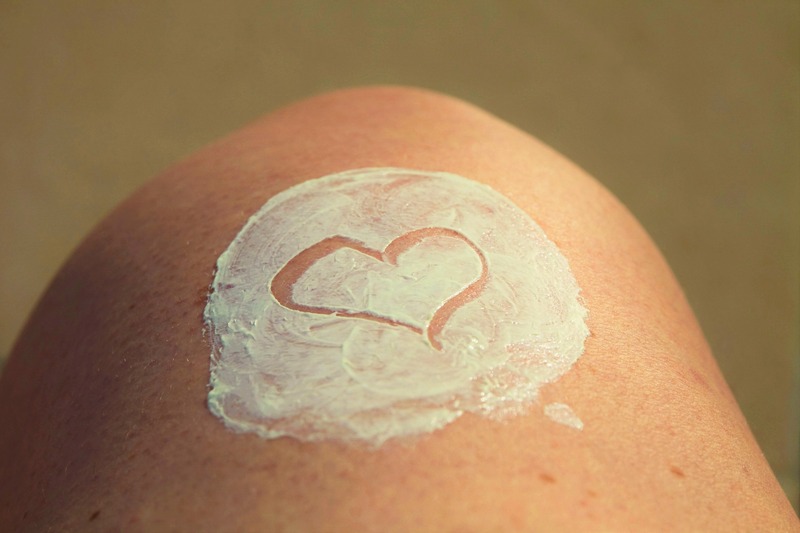 Used in one of our moisturisers, this is a perfect option for anyone with scarring due to Bergamot being an effective Cicatrisant – something that helps scars and other skin markings to disappear and evens out the distribution of pigments and melanin, leading to even skin tone. We use Rose Absolute essential oil in our honey rich moisturiser and once you try it for yourself, you’ll be glad we did! Rose Absolute essential oil is one of the most widely used oils in beauty products, despite being one of the most highly valued. 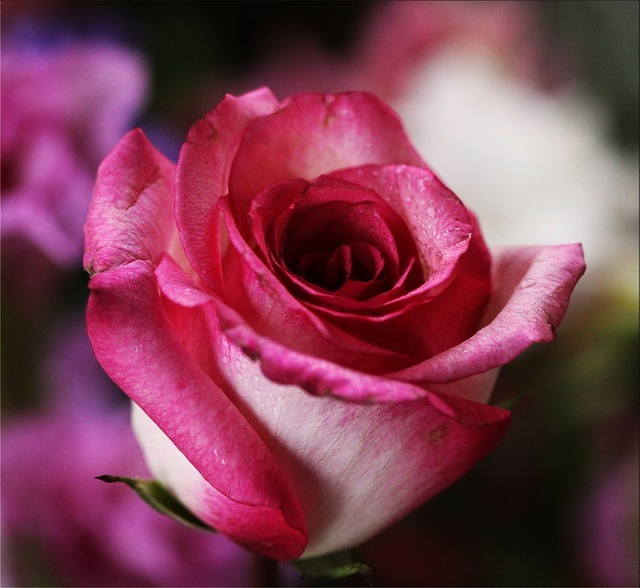 Rose essential oil has the most incredible ability to create gorgeous, glowing skin that is deeply nourished. It is also a miracle worker when it comes to reducing inflammation, so a bit of a god-send for anyone suffering from skin flare ups. Who doesn’t want minty fresh toes?! 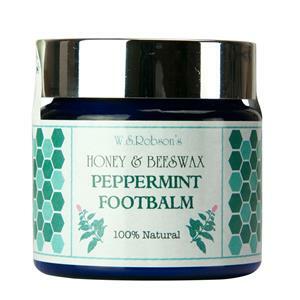 We certainly love it and we’re sure you will too, the addition of peppermint oil to our foot balm and foot cream offers a wonderful tingling and uplifting sensation that can’t be beaten. Peppermint essential oil is often used as a natural muscle pain relief, so it will help to melt away any tension in your feet. It can also help to reduce headaches and support digestion – who knew a foot rub could have so many benefits? 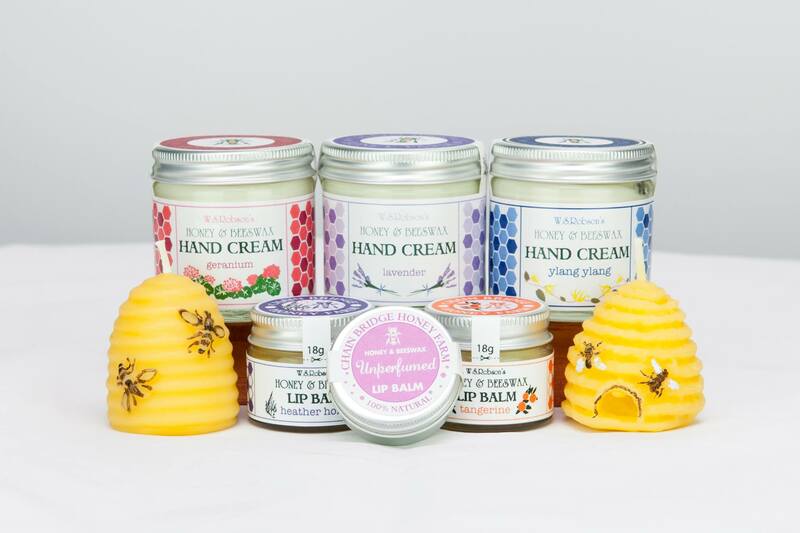 Lavender is such a popular scent that we’ve used it for all three of our beauty products: hand cream, moisturiser and lip balm. Spoil yourself with our Lavender gift box! Lavender essential oil is one of the most gentle of all and is known particularly for being soothing and sleep inducing, making this moisturiser the perfect night-time treatment. Not only does Lavender help to keep you relaxed and in good spirits, but it also helps to heal even the most sensitive skin. Tea Tree essential oil is one that you’ve probably heard of before, and we had to include it in one of our natural ointments really! 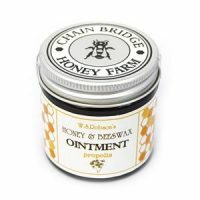 On its own, Tea Tree is a household favourite for healing any cuts, grazes or infections due to its potent anti-bacterial, anti-fungal and immune boosting properties; so when teamed with a whopping 20% of Chain Bridge Honey (along with a few other healing goodies) its effects are near miraculous. 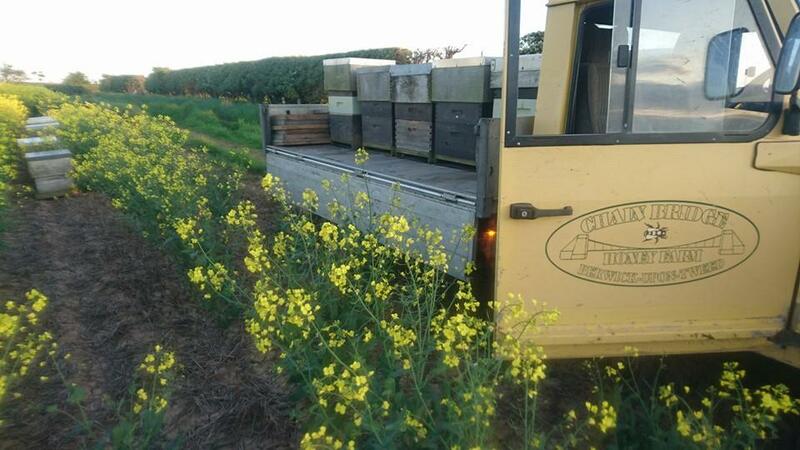 You’ve probably already guessed that we’re big fans of Bees here at Chain Bridge Honey Farm, what with the incredible products they create, which in turn lead to the amazing, natural products we create using honey, beeswax and today’s blog subject matter, Bee Propolis, from our very own hives. Now, most people will be pretty familiar with the wonders of honey and beeswax, but Propolis is a true miracle substance that is perhaps not so well known. Also known as ‘Bee Glue’, Propolis is sticky gel produced by one busy little expert Propolis-making bee in the hive, using certain tree leaves, leaf buds and flowers and it just so happens to be one hell of a health and beauty product for us lucky humans! A natural anti-septic, preservative and anti-oxidant containing over 300 active compounds, Bee Propolis has a vast array of health and beauty benefits, making it an absolute must-have for every home. Many of us suffer from one skin condition or another, whether that’s acne, scarring, dryness or even just simple aging, so you’ll be pleased to hear that Propolis is a bit of a beauty cure-all! Propolis is bursting at the seams with an abundance of minerals that are essential for rebuilding damaged skin cells, which is great for everyone, not just those with a specific problem. New healthy skin cells = replenished, soft, beautiful skin! Oh, and some serious wrinkle reduction too. Speaking of wrinkle reduction, unlike many lotions and potions on the high-street, Propolis really does work! Quite a claim, yes, but a true one. The anti-oxidants contained in bee Propolis fight like little champions against oxidants that we’re faced with every day, (from pollution, UV rays and junk food to harmful chemicals found in many un-natural beauty products) which helps to protect your skin cells for much longer. It won’t stop the clock, but it will certainly slow things down! 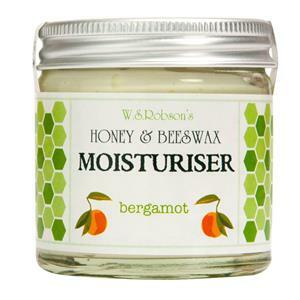 The powerful moisturising properties of Propolis also goes a long way in promoting gorgeous, supple skin wherever it is applied, as well as providing much needed, soothing relief for any dry skin conditions such as eczema or psoriasis. Suffer from acne? 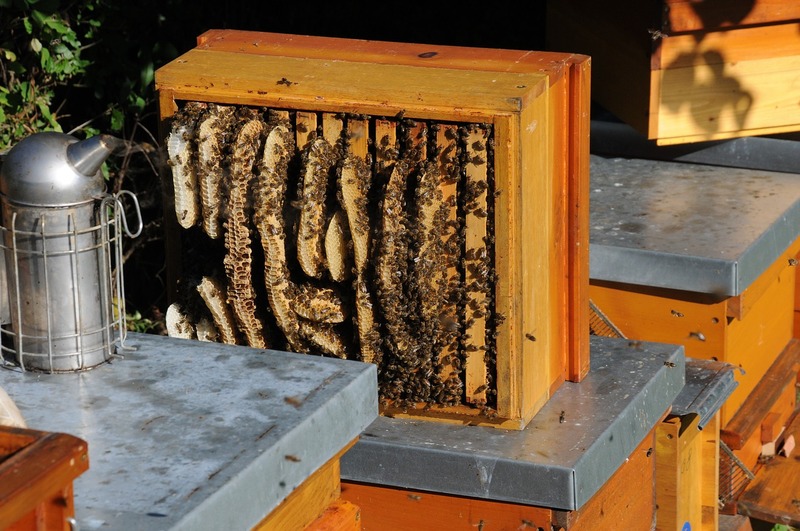 Bee Propolis might just be the thing that can help you. 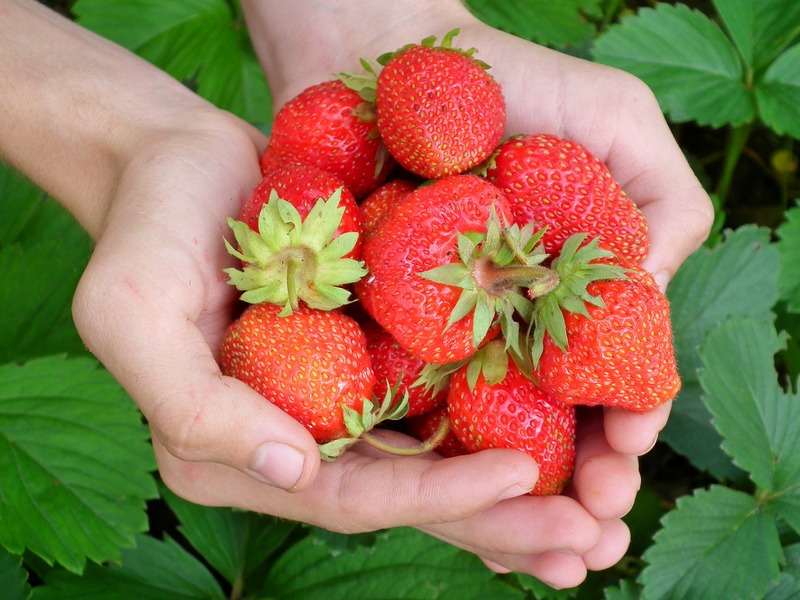 Ditch the chemical-heavy medication and treatments and try something natural instead. Just a small amount of our Propolis Ointment is plenty for you to reap the benefits of the bacteria-fighting nutrients Propolis has to offer. Studies have shown that Bee Propolis kills most strains of bacteria that does not live or grow where oxygen is present, and this includes Propionibacterium Acnes (or P.Acne), which is one of the main causes of acne breakouts and stunted healing. Among some of those 300 active compounds contained in Propolis, mentioned above, are Hydroquinone and Caffeic Acid. Sound familiar? To an acne sufferer who has received pharmaceutical treatment it might, as these are two of the best known compounds found in most commercial acne (and other skin infection) treatments, only this is the real deal. No nasties here! Stretch marks, acne scars, operation scars – you name it, Propolis is a fantastic treatment for the reduction of any type of scarring. If you’ve got an area of skin that needs healing or scars that need reducing, be it on your face or body, Propolis is what you need! The anti-oxidants found in Propolis not only work wonders on their own, but they actually boost the performance of anti-oxidants found within our own bodies and these two things combined result in some serious healing, scar fading and improved blood circulation. Propolis isn’t all about looking pretty, it also has some amazing ‘unseen’ healing benefits too, inside the body and out. 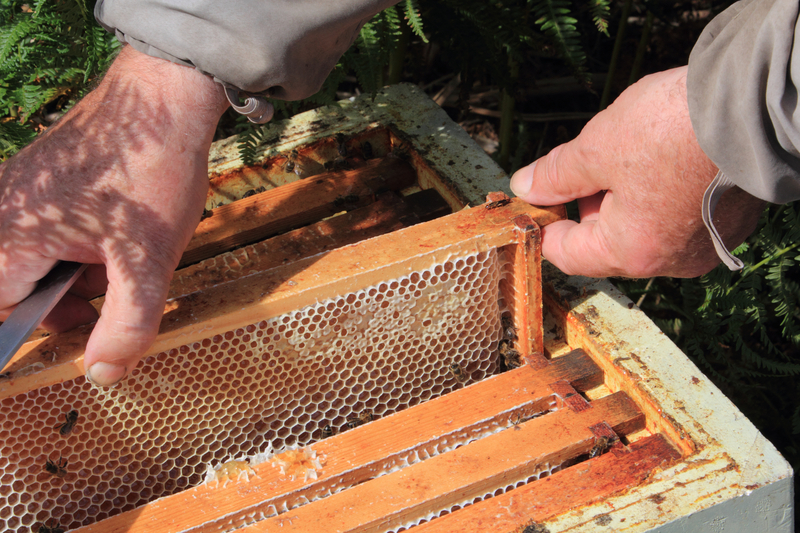 As you may now realise from reading about the beauty benefits of Propolis, it’s basically awesome at the whole healing thing, and that applies to first aid situations too. 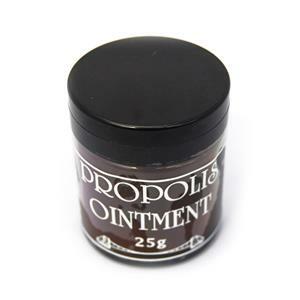 For wounds and minor second degree burns, just a small smearing of Propolis ointment will vastly reduce the free radicals (which occur as a result of the burn) and improve the ‘spin-lattice relaxation process’ within the wound, which is our body’s way of healing. A study performed by the Medical University of Silesia has shown that the use of Propolis on a burn is just as good, if not better, than the use of Silver Sulfadiazine cream, a chemical based pharmaceutical product prescribed for healing. 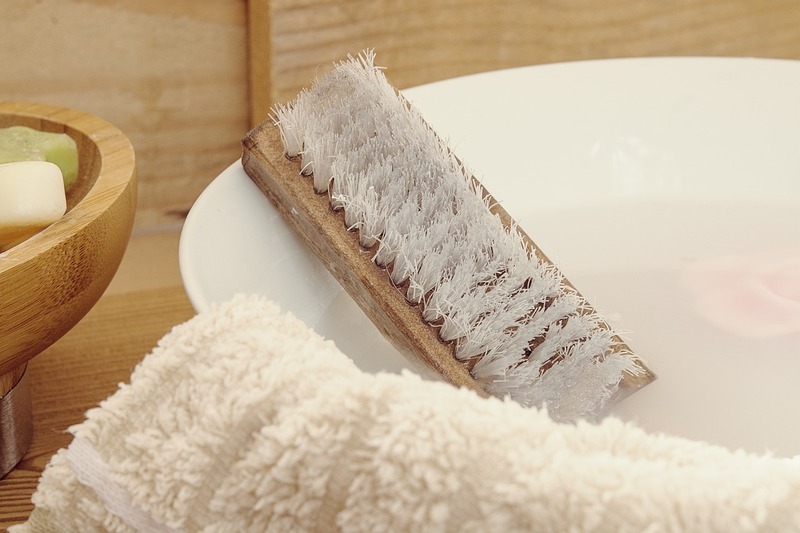 Add a small amount of Propolis to your toothbrush when going about your daily ablutions for improved dental hygiene and reduced tooth cavities! You may be used to thinking of honey as a sugary substance, which you might imagine wouldn’t agree so well with teeth, but despite being made by bees in hives, Propolis is quite a different thing altogether. Propolis can be used as an effective mouth disinfectant to help treat gum disease. It’s presence on teeth also limits the production of plaque meaning healthier nashers all round!